My kiddo and I have a relationship that can be like a tornado, at times. Swirling, strong emotions that carry us away. Very intense. Both in the highs and the lows. But my husband is the calm that our easily inflamed personalities so need. He is always our port in the storm, and truly is the best person I know. When I watch his way of being a parent, I just thank the alignment of stars that led him to be my husband and my daughter's daddy. Coolest idea EVER. Little free libraries. For the crafty among you, DIY colorblocked coasters. I will admire from afar. The most awesome notebook -- when you're done with it, it looks like a magazine! I want every one of Angela Carter's books. Remember these cookies? Anyone? Well, now there are Momofuku box mix cookies. Darlybird is so cute you cannot believe. You have to check out their site. Cool Book of the Week: 'Happy' by Mies Van Hout is the most amazing looking thing I've seen in awhile. Each fishy pictured in the book depicts a particular emotion, with the word also written. The colors snapping off from the black background are really unbelievable, don't you think? I'm totally getting this for my baby nephew. Have a lovely weekend! Have fun with any and all rad dads in your life. And I LOVE this cool stuff list! I just started reading Angela Carter, too, I still feel the lure of Rachel Ashwell, and a Little Free Library just opened near my neighborhood just last night! I hope Andrew (and your family) have a lovely Father's Day weekend. Rachel Ashwell has a new deco book, it looks gorgeous. Have a wonderful Rad Dad with your family too! I'm absolutely ecstatic about the cool book of the week! Yes, I will be getting my hands on that book asap. And those little free libraries?!? have you seen one in real life? So COOL! Magnetic wallpaper?!?! Um that is the coolest thing ever. 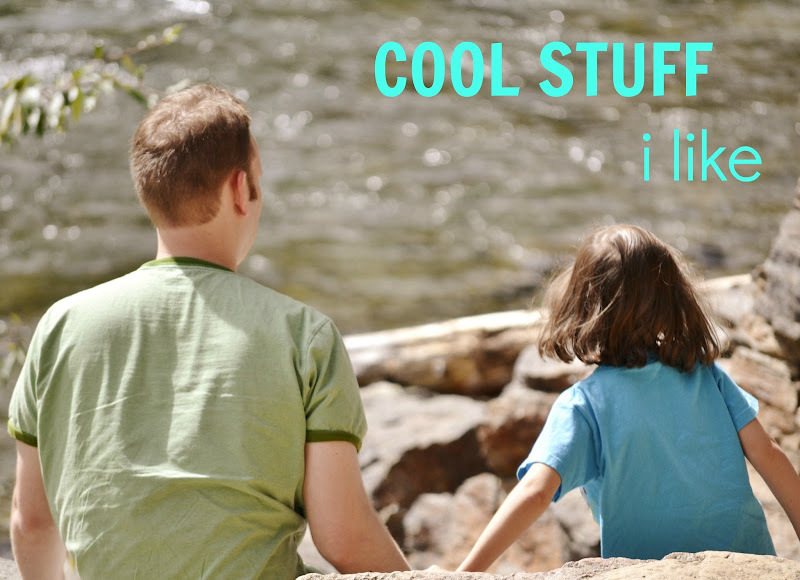 So much cool stuff :) have a great fathers day weekend with your beautiful family! No I've never see one in real life, I'm so intrigued! Magnetic wallpaper -- I'm thinking of someday wallpapering one wall in our spare room/cat room/hope-someday-it-will-be-an-arty-room for J and I -- magnetic wallpaper would be so neat in a playroom or craft room! So mych cool stuff! Those little free libraries are sooooo cool!